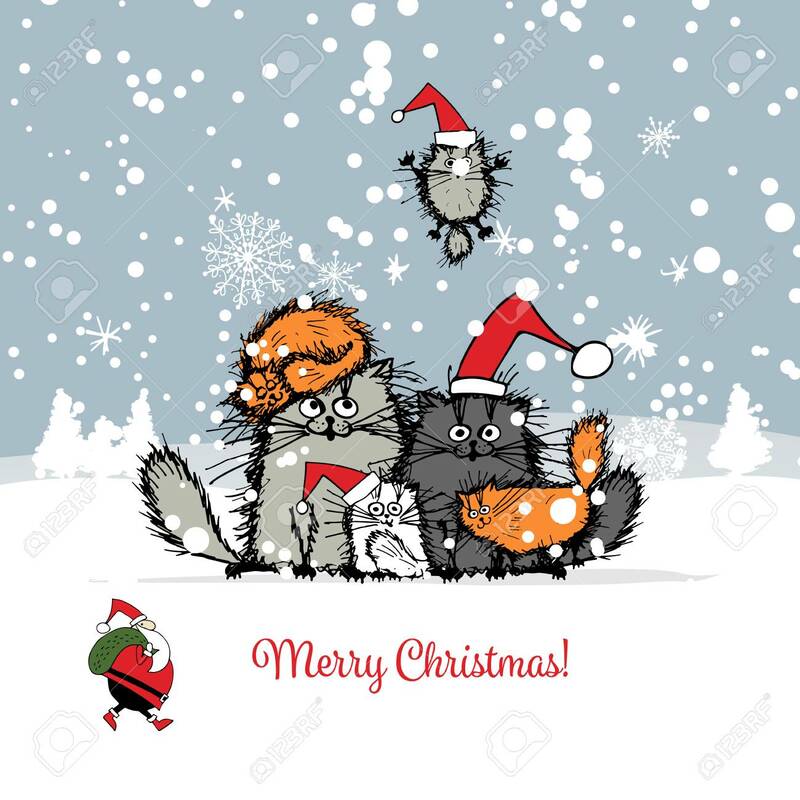 Christmas Card With Happy Cats Family. Illustration Royalty Free Cliparts, Vectors, And Stock Illustration. Image 68555737.